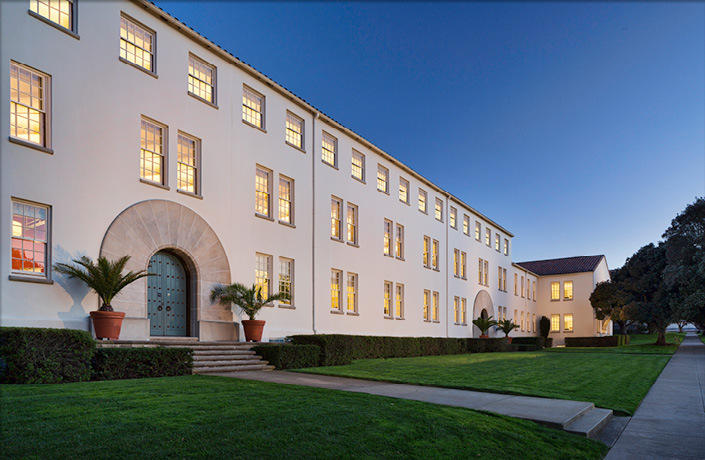 Equity Community Builders develop real estate that, as their name suggests, contribute to the equity of urban neighborhoods and strengthen communities throughout the Bay Area. 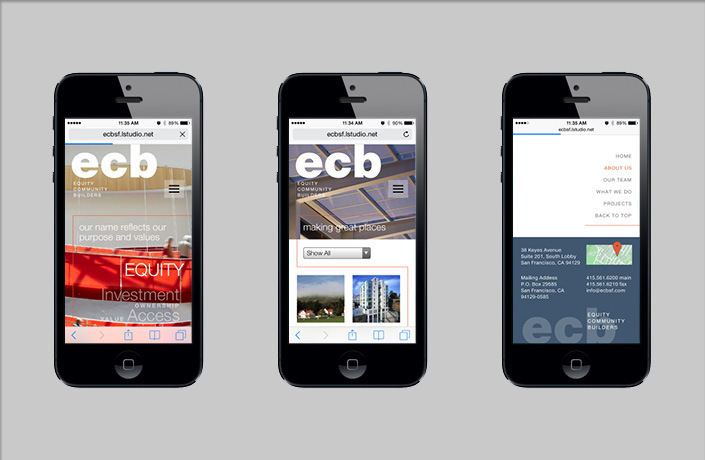 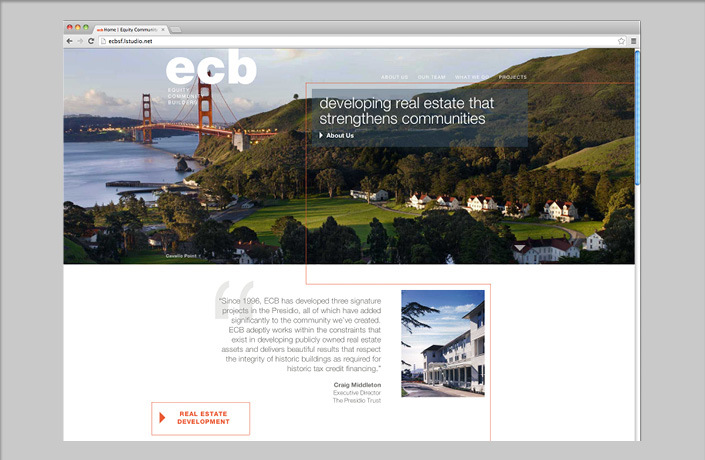 L Studio has worked on branding and communications for ECB projects including Cavallo Point and Hunters Point Shipyard, as well as on their corporate branding and communications. 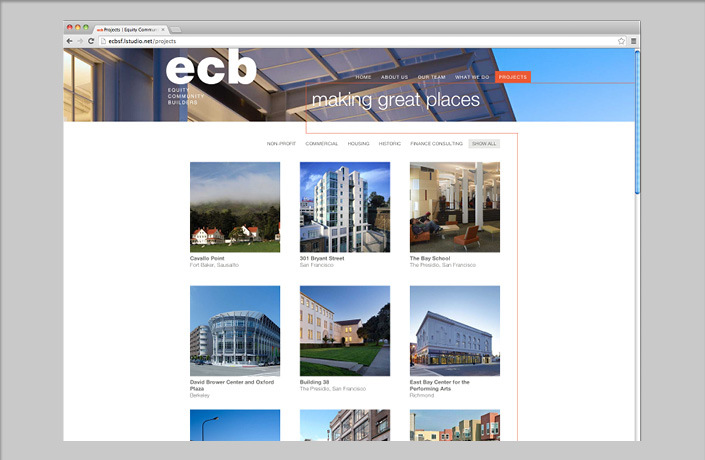 We were recently hired to redesign their website to evolve their brand, better communicate the full breadth of their work in real estate development, development management and financing consulting for New Market and Historic Tax Credits, promote a new partnership focused on transit-oriented development, and showcase their stellar portfolio of completed projects. 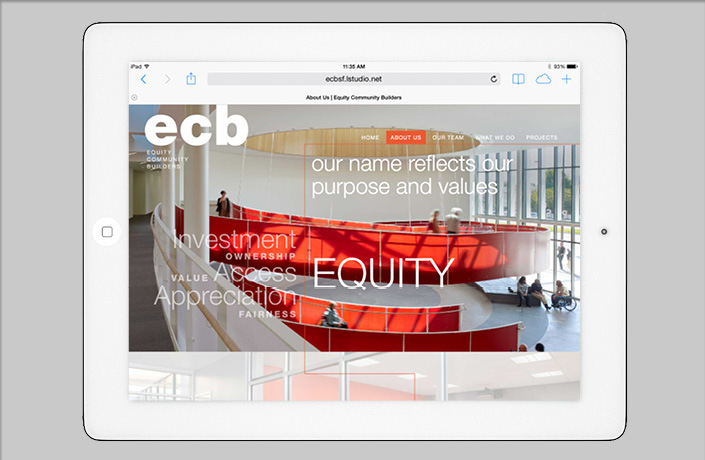 Design of a new corporate website, built on Drupal with responsive design to optimize the presentation of the site on tablets and smart phones. 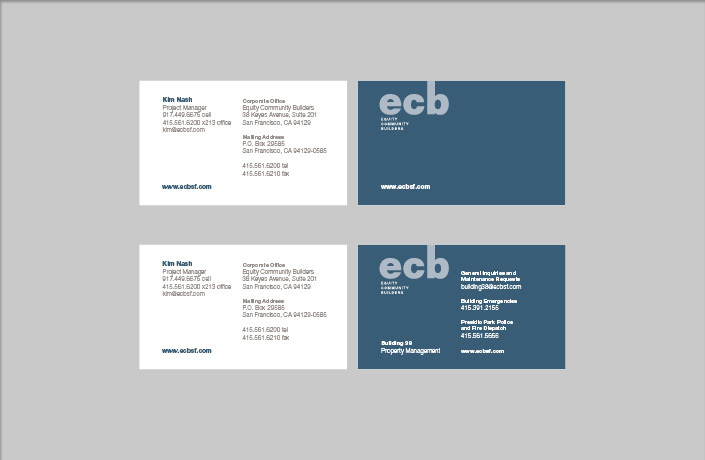 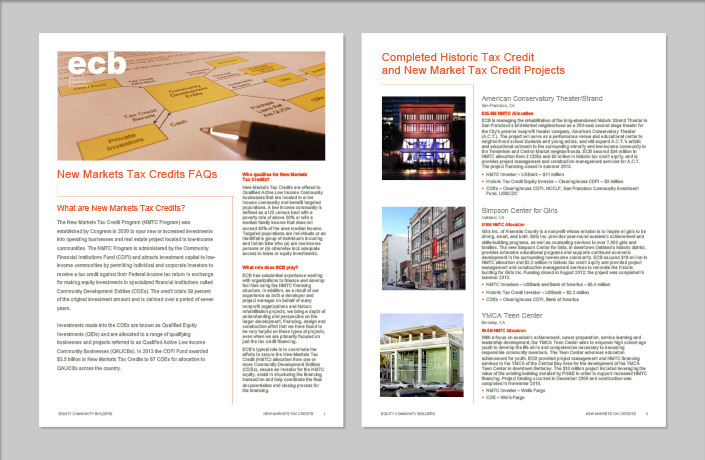 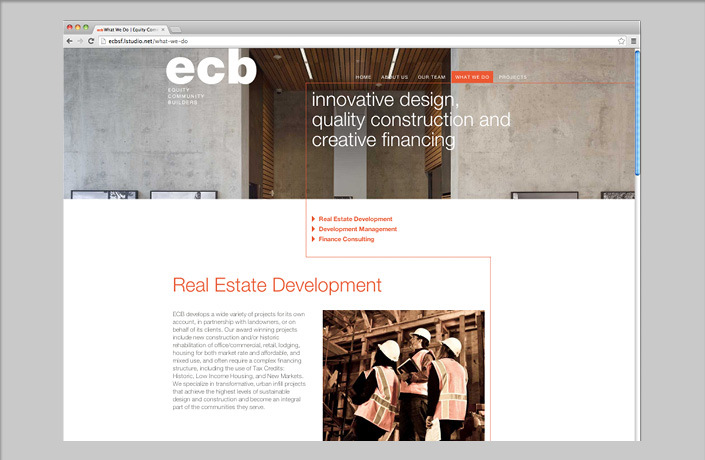 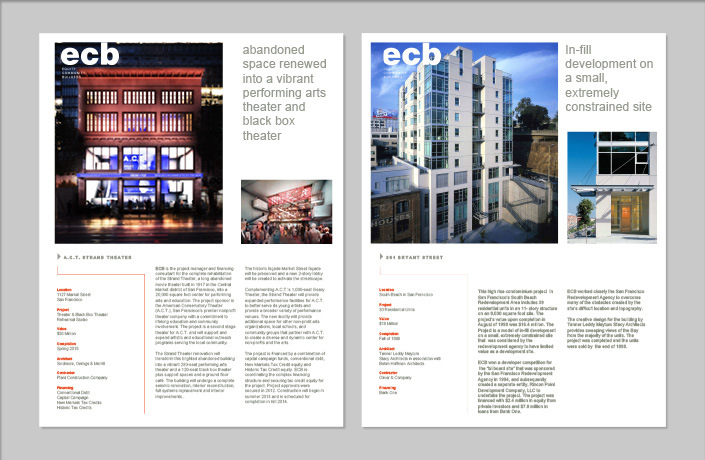 Redesign of ECB’s core collateral to fully integrate the branding of their business communications, project cut sheets and promotional material with the fresh visual design of their new corporate website. 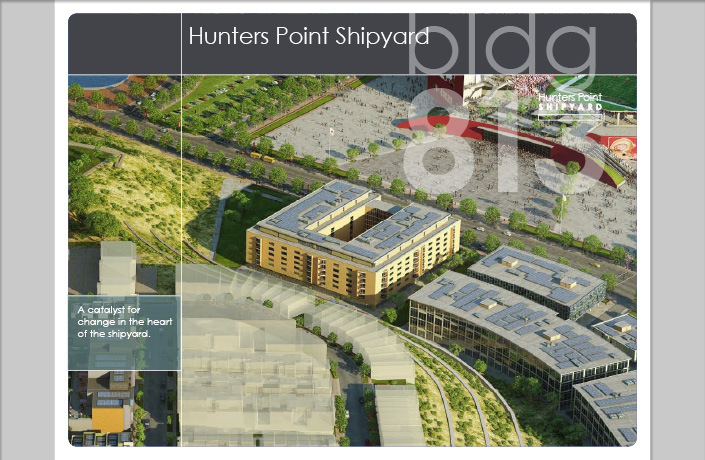 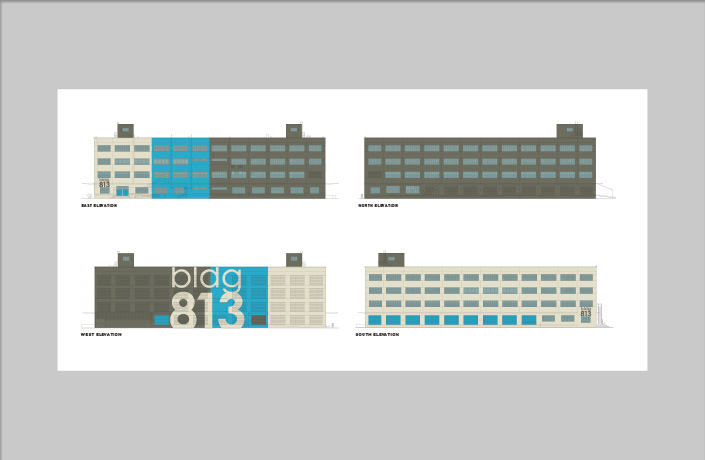 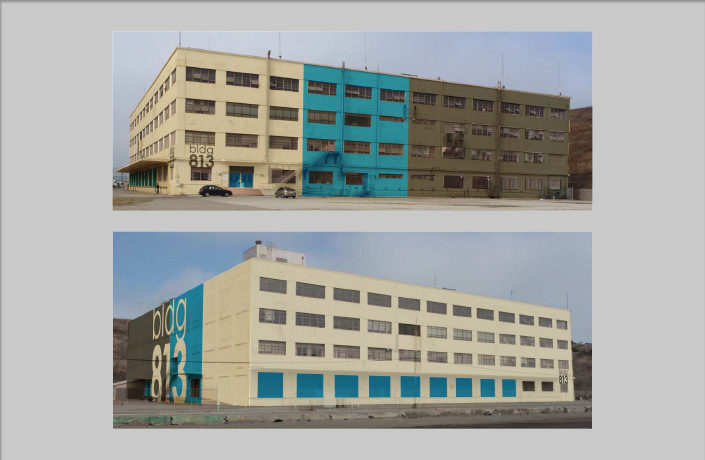 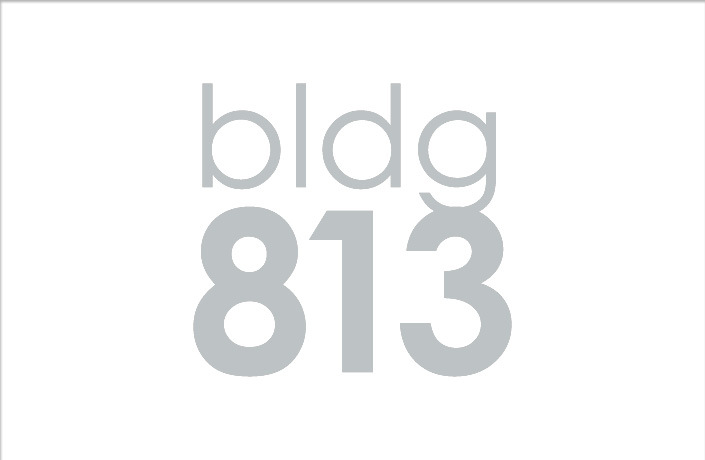 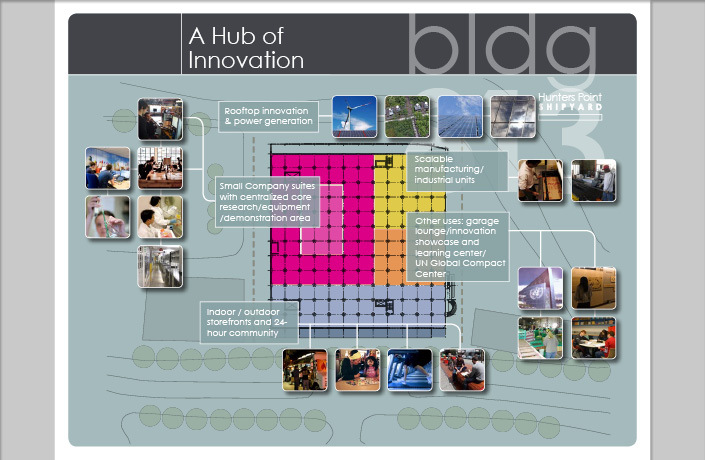 Brand strategy, communications outreach and market research tools, and building graphics for BLDG 813, a new hub for innovation in the Hunters Point Shipyard.